It is also part of a “master plan” by east African leaders to connect their nations by rail, with the Standard Gauge Railway (SGR) planned to eventually link Uganda, Rwanda, South Sudan, Burundi and Ethiopia. “There is no country which has ever developed without having a very robust railway system. It was long overdue,” Kenya’s Transport Minister James Macharia told AFP. 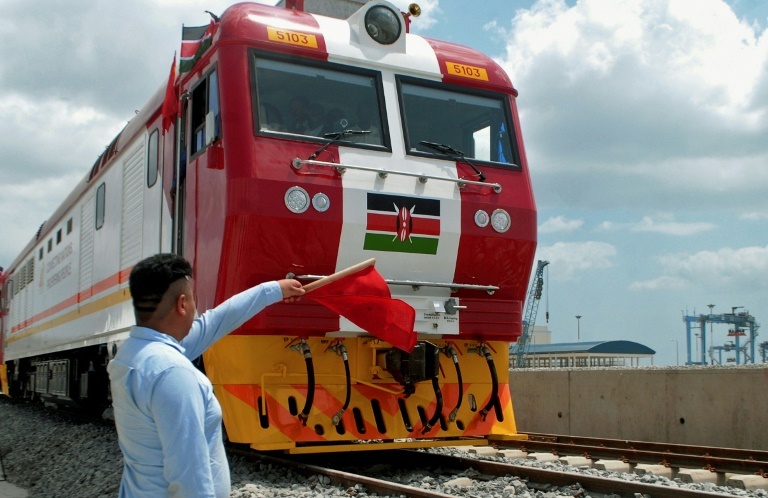 However, the government went ahead with the project, skipping an open tender to make a direct deal with China — whose Export‑Import Bank has loaned Kenya 90 percent of the venture’s cost.